We’re pleased to announce a new advanced wizard for our Save Emails to Cloud Storage extensions. The new wizard lets you automatically store PDF copies of your emails (plus any attachments) to Dropbox, Google Drive, OneDrive, and other cloud storage services. Here’s how to install and use our free “save to” Chrome extensions. Visit our Chrome extensions page to see all our available extensions. Each extension will let you easily save PDF copies of your email (including attachments) directly to your cloud storage account. You can save emails with a single click from within your Gmail, or you can use the new wizard to set rules for what you’d like to save. 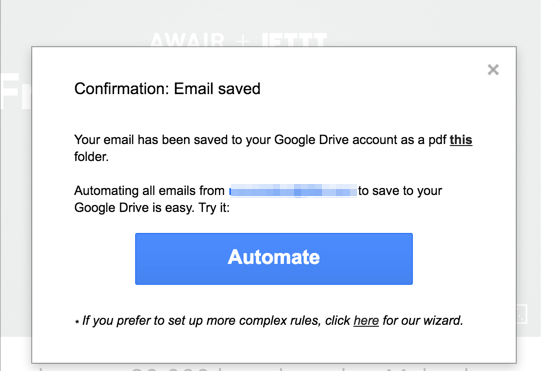 Once you’ve installed a “save to” extension, you’ll have a “Save to” button in your Gmail. 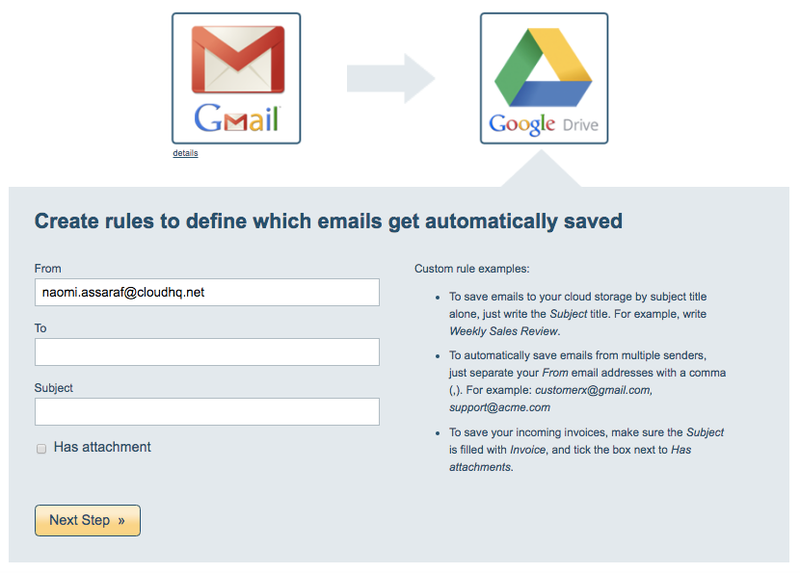 Why Save Your Emails to Cloud Storage? Whatever your reason, the wizard will make it much easier to create and organize a complete record of your emails—stored and backed up safely in your cloud storage service of choice.